Images & Video for Great Heartland Hauling Co. In The Great Heartland Hauling Co. (originally announced as Over the Road), players take on the role of medium haul Midwest truck drivers doing their best to make a living by hauling goods for big suppliers. Players truck to various locations around America's Heartland, picking up and dropping off goods using matching cards from their hands. Most locations have native goods that require fewer cards to load; other locations may pay a premium for those goods but may also require more fuel - and time - to get there with the cargo. 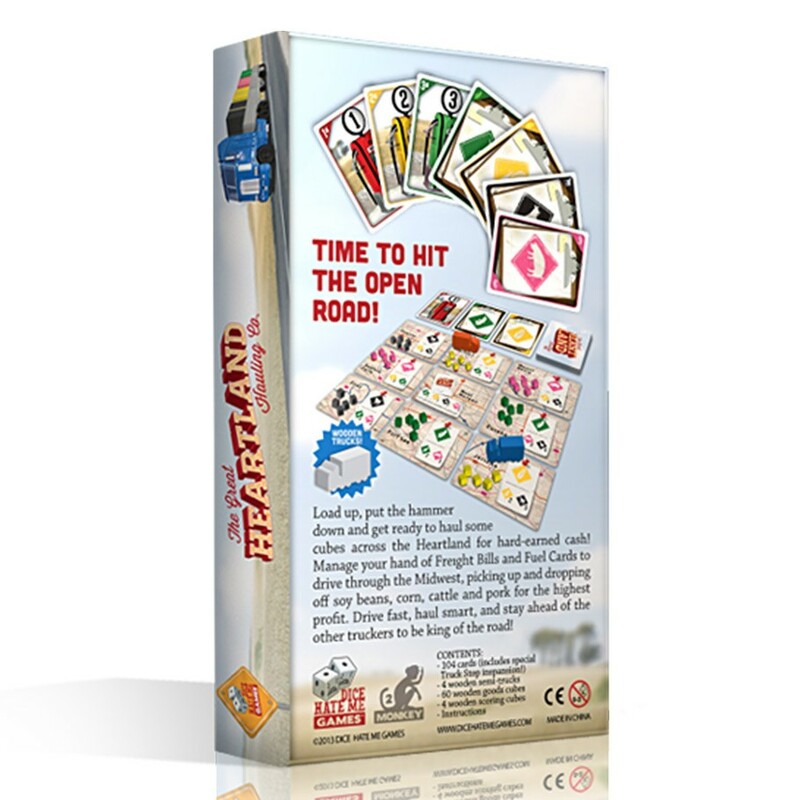 With limited space in each trailer and only five cards in hand at a time, players will have to expertly manage their resources, as well as play the odds and press their luck to be the best trucker on the road. 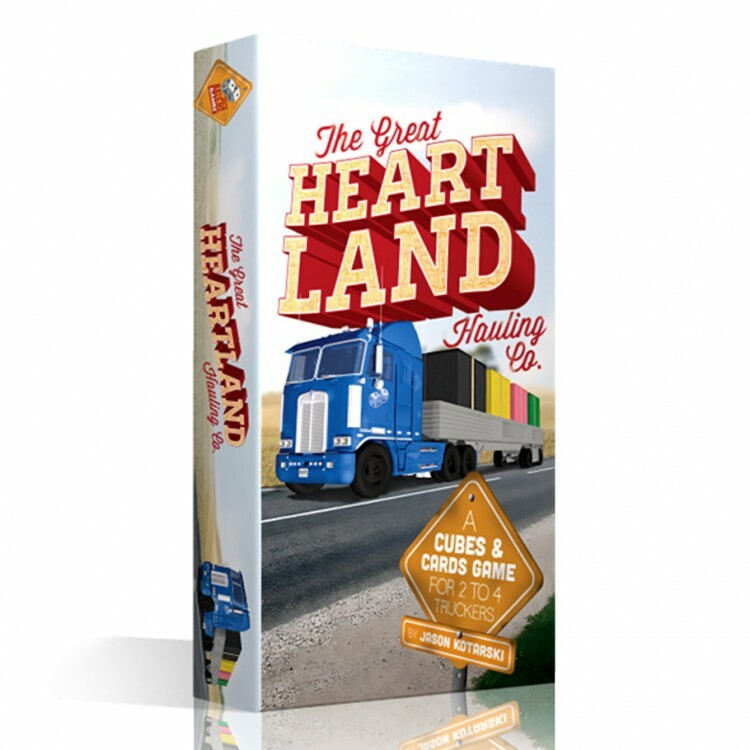 The Great Heartland Hauling Co. offers a lot of replay value through the use of cards to create a variable board set-up each game. The game includes 60 goods cubes, four thick cardboard trucks, and 46 resource cards - required for pick-up and delivery - that are drawn from a shared draft board, as well as 20 fuel cards, which are used to move about the Heartland.